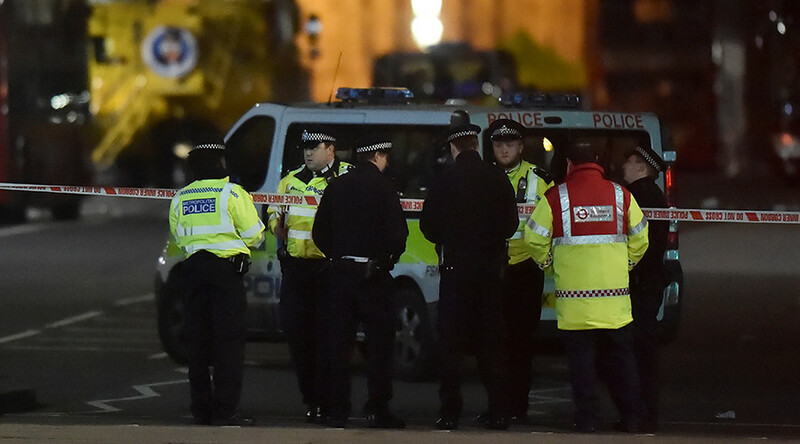 Police say a man injured in Wednesday's Westminster terrorist attack has died, and the latest victim is reported to be a 75-year-old man. London’s Metropolitan Police confirmed that the 75-year-old died "after his life support was withdrawn" Thursday evening. Detectives investigating the terrorist attack in #Westminster can confirm that a 75yo man died tonight after his life support was withdrawn. Three others died in the attack by Khalid Masood, who was shot by police during the incident. Masood's three other victims were police officer Keith Palmer (48), teacher Aysha Frade (43) and US citizen Kurt Cochran (54). Earlier on Thursday, police released a statement detailing arrests made in connection with the attack. A total of eight people have been arrested so far, including seven people in three different locations in Birmingham, while a 39-year-old woman was arrested at an address in east London.